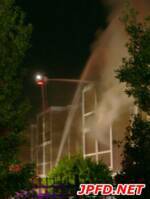 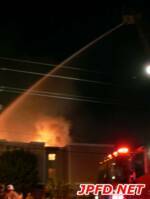 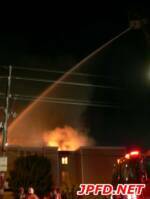 8/14/11: 4 Alarm@3701 West Napoleon Ave. 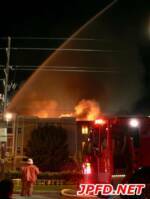 Shortly before 9pm firefighters were dispatched to reports of fire at the Chateau Napoleon Apartments. 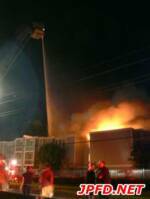 While en route E188 called for a 2nd Alarm after seeing large plumes of smoke coming from the building. 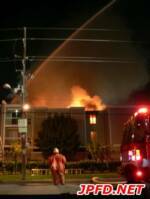 Several residents jumped from the building and suffered minor injuries. 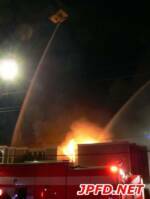 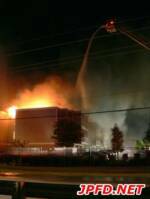 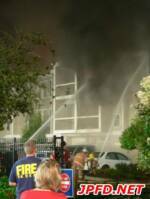 Fire departments from Harahan, Kenner, New Orleans, and Third District covered JPFD stations for most of the night while crews battled the stubborn blaze. 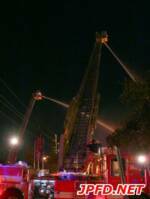 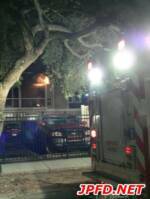 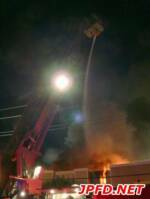 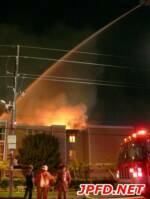 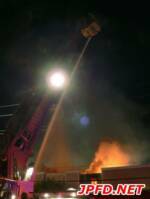 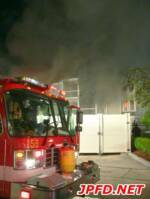 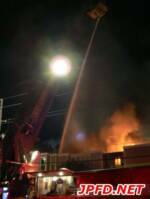 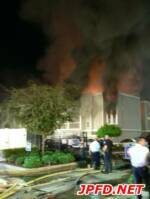 JPFD A Crew was recalled towards the end of the night/early morning to provide relief for those at the scene.